Explore the vast mountain ranges of Ladakh on this wonderful 14-day journey commencing on 1st July 2018. 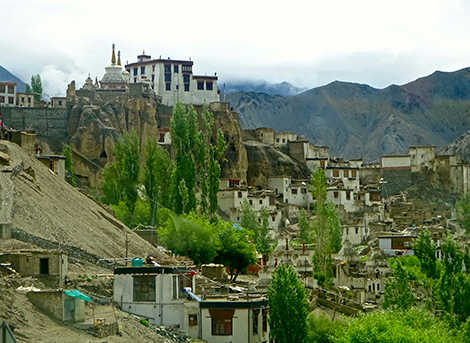 ** Ladakh is a magical place with stunningly beautiful and wild landscapes, ancient Tibetan Buddhist monasteries – often perched on rocky outcrops, old mani walls covered in prayer-inscribed stones, colourful prayer flags dancing in the breeze, whitewashed stupas, traditional villages with mud-brick houses and fertile pastures and some of the most fun-loving and friendly people you will find. 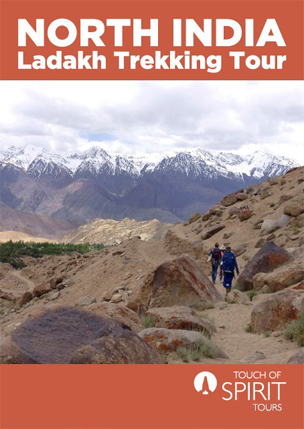 The tour includes 2 separate treks staying in traditional village homestays, wonderful home-cooked food both on the trek and in our lovely family-run guesthouse in Leh, monastery visits and wonderful sights around Leh and Delhi. Arrive in Delhi and transfer to our well-located hotel in South Delhi. Transfer to the airport for an early flight to Leh. Enjoy breathtaking views of the Himalayan mountain range during the flight. On arrival in Leh, transfer to our lovely hotel. There is free time until mid afternoon for leisure/rest in order to acclimatize. At around 3.00pm, we take a gentle walk to the main market square via narrow winding pathways and an old monastery. After breakfast, we commence our driving tour of the stunning areas surrounding Leh. 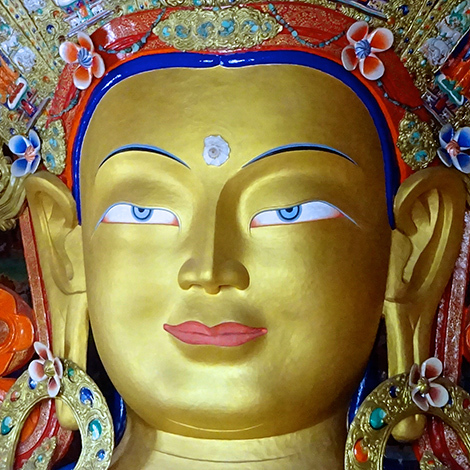 Visit Hemis and Thiksey Monasteries and Stok Palace. Later in the afternoon we visit the old palace overlooking the main market area. Today we commence our wonderful 3-day trek in Hemis National Park. Drive to Jingchen for our trek to Rumback (approx. 3 hours). 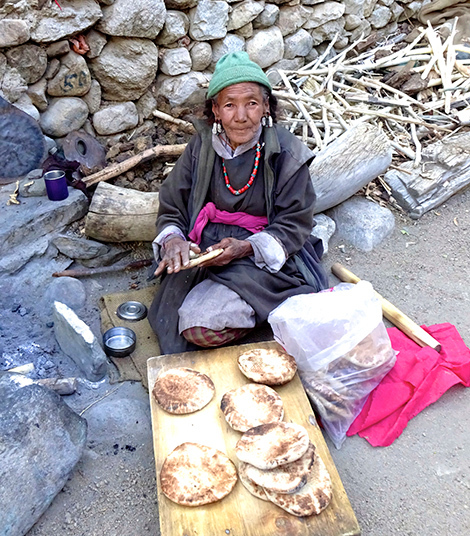 Experience Ladakhi culture first hand in our welcoming village homestay. Trek to Yurutse area. See wildlife along the way. Return to Jingchen for the drive back to Leh. (approx. 5 – 6 hours walk). Most of today is free to rest and prepare for our next trek. In the late afternoon, we will walk up to Shanti Stupa for magnificent views of the town and valley. 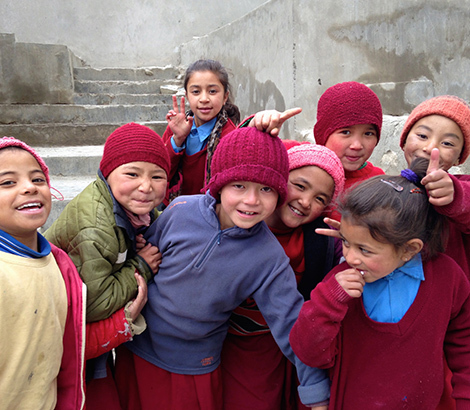 Cross Sarmanchan La Pass and descend to the larger village of Hemis Shukpachu (approx. 4 hours walk). There is time in the afternoon to explore this interesting picturesque village. Today we have a gradual walk up to Mebtak La Pass with breathtaking mountain views, then a short steep descent and a zigzag path up to Lago La Pass (approx. 4 hours walk). We spend the night in colourful Ang village. Enjoy the stunning views as we drive to Lamayuru Monastery (11th century). 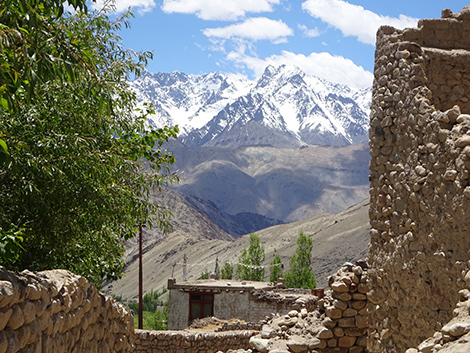 We then visit Alchi Monastery (also 11th century), on the banks of the fabulous Indus river. This amazing village monastery contains incredibly astonishing ancient artworks. Drive back to Leh, stopping en route to visit Basgo Fort. Today we have an early flight back to Delhi with wonderful views of the Himalayan Ranges. On arrival in Delhi we transfer to Old Delhi for a cycle rickshaw ride around the atmospheric narrow alleyways and a visit to Jama Masjid, India’s largest mosque. We also visit Humayun’s Tomb, which is a UNESCO World Heritage Site and the mausoleum of famous Sufi saint Nizamuddin Auliya. Transfer to our hotel in South Delhi. After breakfast, we have free time for individual activities and last minute shopping, before transferring to the airport for flights home. Your 14-day experience includes air-conditioned travel, all accommodation, internal flights, entrance fees, many meals, all tours, local guides, guide tips and an Australian tour leader. Price $2,890 per person twin share. **We can adapt this tour for your own small group. The tour can operate any time from June through to mid October. Price for private tour $3120 depending on group size. For the treks, we utilize the services and guides of a local women’s travel company. Although the treks are not overly difficult, a good level of fitness is required for trekking at higher altitudes.